Humans have cultivated and used the flowering tops of the female cannabis plant, known colloquially as marijuana since history was recorded. Archaeologists in Central Asia even found over 2 pounds of cannabis in a 2,700-year-old grave of a shaman. Written and pictorial evidence of cannabis use is scattered throughout numerous cultures indicating a wide acceptance and use of the plant for thousands of years. Federal prohibitions outlawing the therapeutic and recreational use of cannabis were first imposed by Congress with the Marijuana Tax Act of 1937. Later, the plant’s organic compounds (cannabinoids) were classified as a Schedule I substance under the Controlled Substances Act of 1970. In contrast, cocaine and methamphetamine – illegal for recreational use, may be consumed under a doctor’s supervision and are classified as Schedule II drugs. Examples of Schedule III and IV drugs include anabolic steroids and Valium. Analgesics that contain codeine are defined by law as Schedule V drugs, the most lenient classification. Federal lawmakers continue to use the dated drug classification as a means to defend criminalization of marijuana. However, there appears to be a very little scientific basis for the categorization of the plant. As its prohibition has passed 75 years, researchers continue to study the therapeutic properties of cannabis. There are over 20,000 published reviews and studies in a scientific literature that pertain to the cannabis plant and its cannabinoids, almost one-third of these have been published in the last 4 years. A keyword search on PubMed Central (the US government library of peer-reviewed scientific research) shows 2,100 studies alone since 2011. Modern culture is now catching up on what our ancestors knew, and public opinion and relaxing state legislation are leading the way for more people to use medicinal marijuana for a wide number of medical conditions. At present, marijuana for medical purposes is legal in 20 states and the District of Columbia. While the debate continues to boil at both state and federal levels, there has been a strong and growing trend of acceptance related to the growing body of scientific evidence indicating that marijuana may indeed contain some powerful medicinal properties that we would be foolish to overlook. “Many of the chronically ill have successfully sought relief with the use of medical cannabis, an age-old remedy that now shows real scientific efficacy. Hundreds of thousands of the sick have replaced disabling narcotics and other psychotropic medications with nontoxic and benign cannabis. The anecdotal evidence is overwhelming. Researchers at the University of California Center for Medicinal Cannabis Research announced findings from a number of randomized, placebo-controlled clinical trials on the medical utility of inhaled cannabis in 2010. The studies used the FDA ‘gold standard’ clinical trial design and reported that marijuana should be the “first line of treatment” for patients suffering from neuropathy and other serious illnesses. Neuropathy is a type of pain associated with diabetes, cancer, spinal cord injuries, HIV/AIDS and other debilitating conditions. The trials indicated that marijuana controlled pain as good or better than available medications. Scientists continue to study the effectiveness of cannabinoids all over the world. In Germany, there have been over 37 controlled studies, with over 2,500 subjects, assessing the safety and efficacy of marijuana, since 2005. In contrast, most FDA-approved drugs go through far fewer trials with fewer subjects but are approved for use. The research on cannabis has shifted from studying its ability to alleviate symptoms of a disease such as nausea associated with chemotherapy to its potential role in modifying disease. Medical marijuana has been shown to slow the onset of Alzheimer’s disease and moderate autoimmune disorders including multiple sclerosis, inflammatory bowel disease, and rheumatoid arthritis. Medical marijuana capsules infused in coconut oil are an alternative way to therapeutically use cannabis without having to inhale it through smoking. 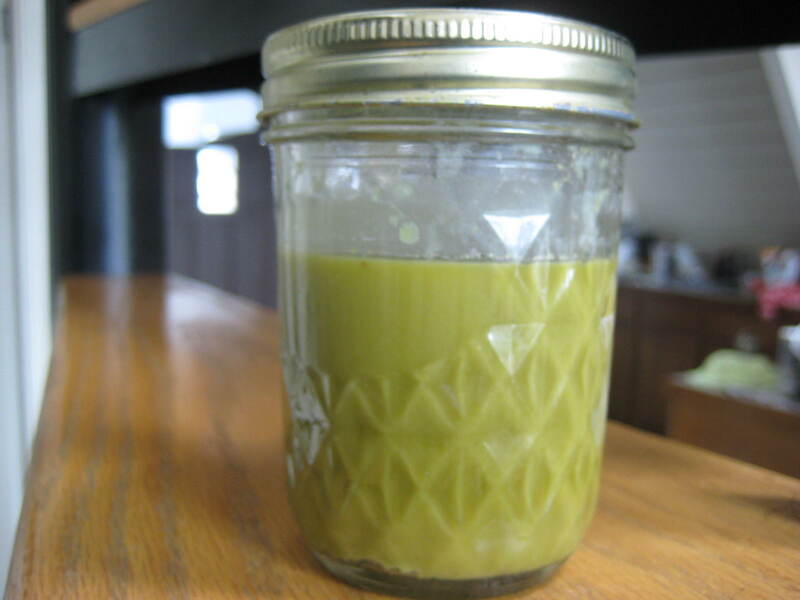 Infusing cannabis into coconut oil also allows for easy entry into the liver where it can be rapidly processed. Coconut oil is used because of its high amount of essential fatty acids which makes it a good binding agent for the cannabinoids. Not to mention its amazing health properties. Half of the fat in coconut oil is comprised of a fat that is not frequently found in nature, lauric acid. Lauric acid has been called a “miracle” ingredient due to its health-promoting capabilities and is present in a mother’s milk. In fact, it can be found in only three dietary sources—small amounts in butterfat and larger amounts in palm kernel and coconut oil. In the body, lauric acid is converted to monolaurin, which is a potent antiviral, antibacterial and antiprotozoal substance. Because monolaurin is a monoglyceride, it can destroy lipid-coated viruses including measles, influenza, HIV, herpes and a number of pathogenic bacteria. While many remain suspicious of the therapeutic benefits of cannabis, Stan and Barb Rutner are convinced of its efficacy. This couple has stood in the face of cancer a number of times and survived to learn from their experiences. Barb had two bouts of breast cancer and Stan were diagnosed 20 years ago with non-Hodgkin lymphoma which, after treatment, disappeared. However, in 2011, it returned. Cancerous nodes in his lungs were diagnosed and later he was told that the cancer was in his brain. The outlook was grim indeed. As he went through the harsh treatment of chemotherapy and radiation, Stan and his family wanted to find a natural solution that would help improve his quality of life and even prolong it. Hearing that cannabis was effective in helping with the pain and other effects of chemotherapy for cancer patients they were more than open to give it a try. According to Stan and Barb, medical cannabis was the golden ticket. The Rutners daughter, Corinne and her husband did some research and it was decided that daytime cannabis capsule infused in coconut oil would be a good choice. After two weeks of taking the capsule, Stan was able to give up his oxygen tank that he was tied to around the clock. He began to gain weight, sleep better and get stronger overall. After several months, a brain scan revealed that Stan was completely cancer free. The Hearty Soul is pleased to offer our readers a FREE jar of coconut oil through Thrive Market, an online grocery store that delivers organic, healthy, non-GMO foods right to your doorstep! Take advantage of this great offer today. Dad Travels to Canada for Son’s Medicine That Would Cost $53K in U.S.